The Hudson River Estuary Program—an award-winning state program that seeks to restore and manage the Hudson Estuary and watershed for the public's benefit—focuses on the river from the Troy dam to the Verrazano Narrows. 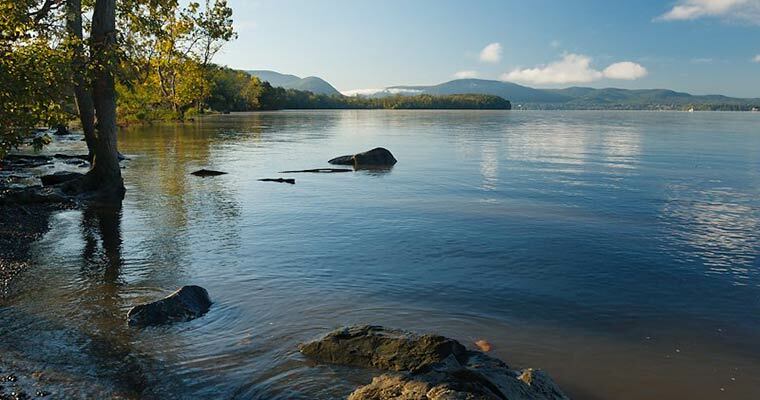 Appointed to the Hudson River Estuary Management Advisory Committee, Scenic Hudson has worked with partners from the commercial fishing industry, state and federal agencies, scientists and educators to draft and implement the program’s guiding document, the Action Agenda. Awarded more than 300 grants to local municipalities and non‐profits for education, open space conservation and river access. Protected more than 46,000 acres of scenic vistas, habitats and pastoral landscapes. Restored fish populations, which generate $7.5 million in recreation and tourism spending. Provided river education to schoolchildren (5,000 annually), trained teachers and developed estuary-focused curriculum. Trained more than 3,000 community leaders to achieve local conservation and land use goals. Revitalized community waterfronts and enhanced parks, docks, piers, trails and boat launches in nearly every riverfront community. Planted more than 18,000 native trees and shrubs to improve water quality and reduce erosion. Assisted communities that have taken the “Climate Smart” pledge to adopt emission-reduction strategies and prepare for the increased likelihood of severe storms and flooding.